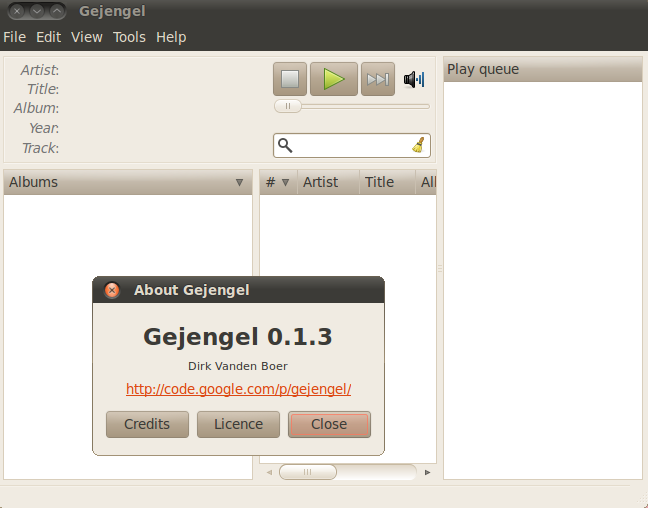 Gejengel is an audio player which focuses on performance and simplicity, yet with a nice set of features. Does this or one of the other players support ipod? I don’t use them but people always ask and I have no reply. LOL: ‘Gejengel’ is Dutch for ‘whimper’ (from whimpering) or whine (from whining). * Compared to Audacious or Deadbeef, two players that use around 15mb of RAM, it can’t be that lightweight. I cannot see a reason to use this app. there´s no support for 64bit, even –force-architecture doesn´t work due to a library problem..